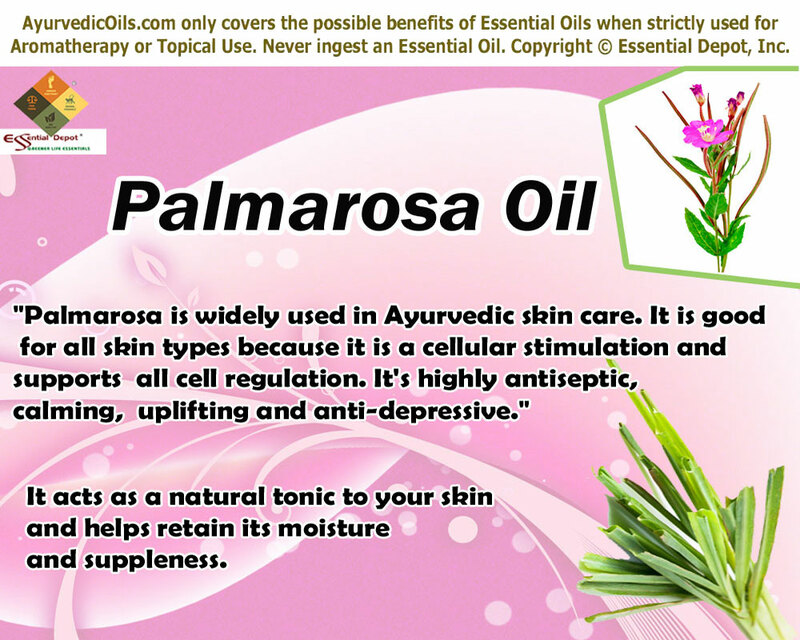 Palmarosa oil is an absolute skin supporter for its immense medicinal benefits to the skin. With a much similar aroma like rose, this oil is used for moisturizing the skin and pacifying the mind. Scientifically known as Cymbopogon martini, Palmarosa is indigenous to the Indian sub-tropical regions and is a member of the grass family Graminaceae. The most popular historical use of Palmarosa oil is that it has been used as a substitute as well as to adulterate rose oil with its rosy aroma. This oil was also used in making incense blends in India and was traded from India to Persia after which the western use of this oil began slowly. It was also prescribed by the Indian doctors to lower fever and fight against infections. The ancient Indians also used Palmarosa oil for treating nerve pain, fever, rheumatism and certain other infectious diseases. 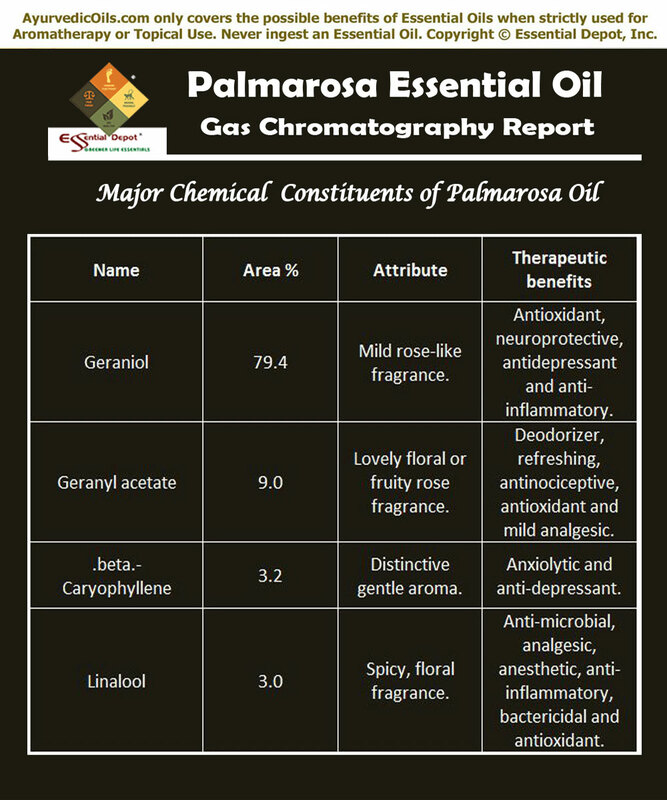 According to the Gas chromatography report, Palmarosa oil constitutes of 14 chemical components that contribute to its fragrance, therapeutic attributes, consistency and quality. Of which, Geraniol contributes to the highest proportion of Palmarosa oil constituents with about 79.4% of its total composition. I believe that this must certainly help you in getting to know the exclusive information about these prime chemical constituents of Palmarosa oil. The table crafted below clearly depicts the unique nature and contributions of these biochemical constituents to the healing magnificence of Palmarosa essential oil. Palmarosa essential oil has regenerative, antiseptic, antibacterial, cytophylactic, febrifuge, aphrodisiac, stimulant, moisturizing, antiviral, hydrating and digestive properties. The richness of Ayurveda lies in its holistic approach towards health and harmony. Ayurvedic texts state that illness is just an indication symbolizing that there is imbalance between the mind, body and spirit with nature. It illustrates that human body is made up of three energy components namely vata, pitta and kapha together known as doshas in Ayurveda. Vata is a combination of air and space and promotes biological functions responsible for external and internal movements of the body. Pitta represents fire and water and is responsible for metabolic functions and certain psychological attributes. Kapha is a blend of water and earth and governs the functions of tissues, retains the balance of water, fat and other fluids in the body. Imbalance of any one of these doshas or all the three doshas results in illness. Palmarosa essential oil is known to reduce the excess of vata, pitta and kapha flow. As an effective bactericide and antiviral oil, Palmarosa essential oil helps in killing harmful bacteria, viruses and other microbes. When applied topically after adding few drops of Palmarosa oil to ointments, skin care creams or lotions, this oil inhibits the growth of dangerous viruses that protect themselves by developing a hard cyst around them. Viral infections like athlete’s foot, ringworm and prolonged itching can be treated effectively by applying this blend externally. A 2009 study on ‘Antibacterial Activity of Essential Oils from Palmarosa, Evening Primrose, Lavender and Tuberose’, proved that among these four tested essential oils, the essential oil extracted from Palmarosa reflected the highest activity against both gram negative bacteria like Staphylococcus aureus and gram positive bacteria like Escherichia coli. Staphylococcus aureus causes numerous infections like urinary tract infections, skin lesions, pneumonia and meningitis. Escherichia coli are generally present in human intestines and cause food poisoning. You can add 2 drops of Palmarosa oil in warm bathing water or blend it with jojoba oil and use it as a massage oil for inhibiting the growth of bacteria. The antiseptic properties of Palmarosa oil makes it an aromatic remedy for healing your wounds, cuts, burns, rashes and other skin infections. Using it as an liniment after adding 2 to 3 drops of Palmarosa oil to your skin care cream or lotion, aids in mending your wounds as well as protect them from being septic. This is mainly because Palmarosa oil has antibacterial properties that ward off gram negative bacteria like Staphylococcus aureus that is wholly responsible for a wound to become septic. You can also use 2 to 3 drops of this oil in your bath for alleviating pain, spasms, convulsions and other skin infections. Palmarosa oil is known as one of the best oils for treating problems with dry, dull and oily skin. It acts as a natural tonic to your skin and helps retain its moisture without allowing it to dry and turn lifeless. Gently massaging your skin with 2 drops of Palmarosa oil and coconut oil will help in regulating the secretion of sebum, hydrating the skin, keeping it soft and supple and fighting against wrinkles and other symptoms of aging. With its cytophylactic properties, Palmarosa essential oil assists in generating the growth of new skin cells and restores skin health by repairing the damaged skin cells due to environmental conditions, ageing and lack of moisture. It enhances the defensive mechanism of the cells in the body and strengthens the immune system. The anti-inflammatory and cooling mechanism of this oil aids in treating eczema, psoriasis, boils, dermatitis, inflamed skin and wrinkles. 2 drops of Palmarosa essential oil can drive in the magical remedy for your skin. You can use it as a massage oil by blending it with jojoba oil or add it to your bath tub or to your skin care cream and lotions for visible results. 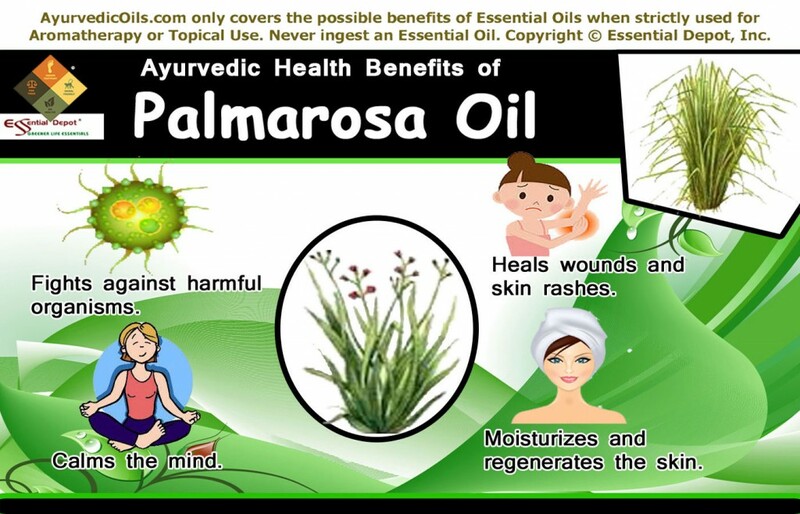 Palmarosa oil is also said to cure candida, shingles, rashes, acne and blemishes. It is also known for treating acne scars and for reducing the appearance of broken capillaries. Palmarosa essential oil has a gentle, misty and lemony-rose fragrance that is comforting and calming to the mind and body. Adding 2 to 3 drops to your diffuser, air freshener, burner, vaporizer, linen or to your pillows grant a feeling of contentment, sense of security, adaptability to the existing situation, rekindles the aura, clarifies thoughts and augments the trust in the sacred stream of life. Palmarosa oil also aids in treating nervousness, anger, anxiety, fear, possessiveness, jealousy, insomnia and resentment. Palmarosa essential oil has been in use since the primordial times for cooling down fever with its triple healing power of being an antiviral, antibacterial and antiseptic oil. It is also effective in treating digestive disorders, intestinal problems, stiff and sore muscles, bruising, heart palpitations and for strengthening the heart yin. 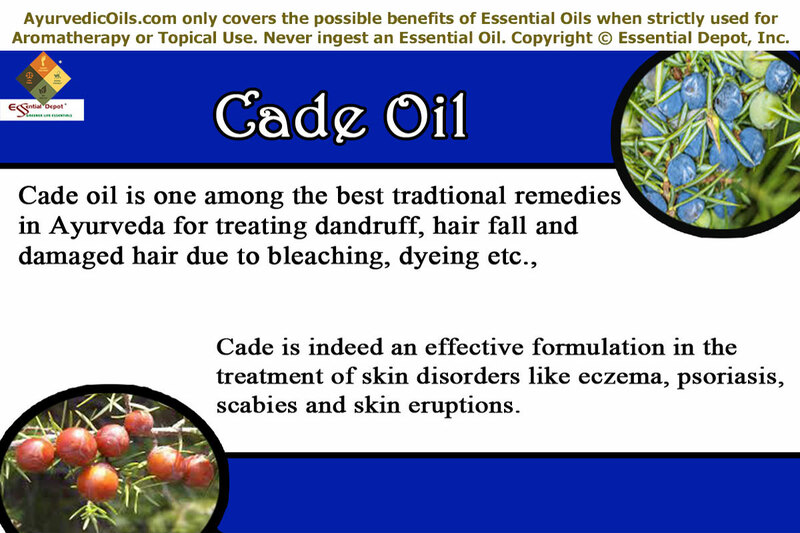 Always use essential oils for topical application and for aromatherapy uses only. Never ingest essential oils without the proper guidance of your healthcare provider. Keep away from children and do not use essential oils if you are pregnant. Consult your Ayurvedic practitioner before using specific essential oils for your unique health condition. 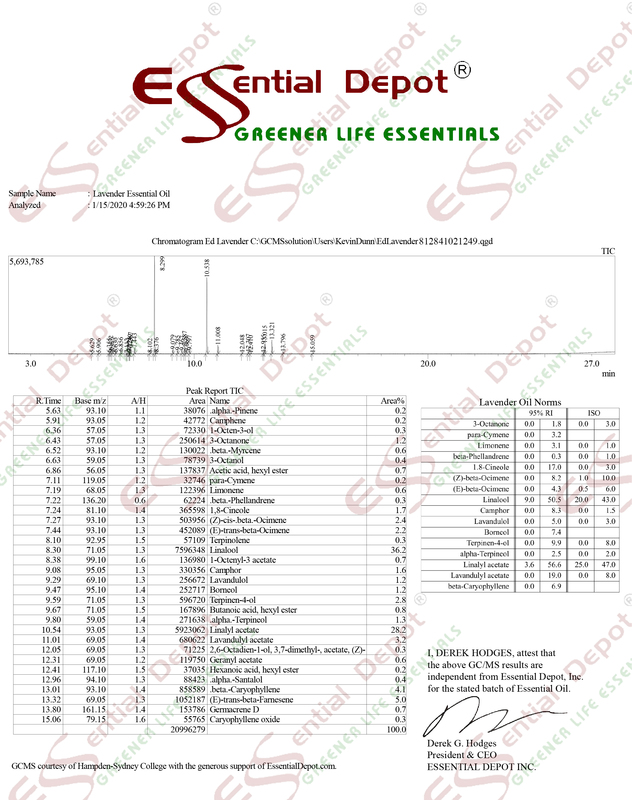 The MSDS (Material Safety Data Sheet) of Palmarosa oil is readily available for your enhanced safety and better usage. 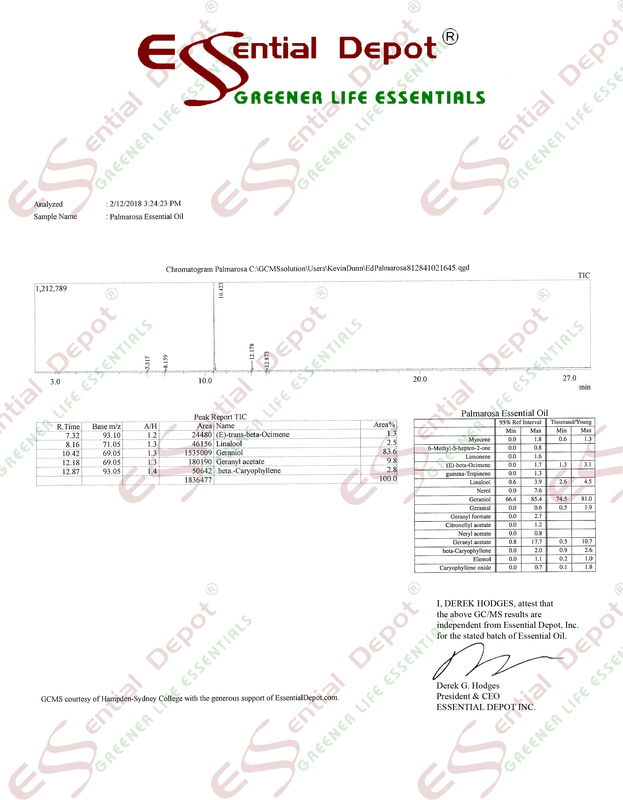 Gas Chromatography Report (GC analysis) of Palmarosa oil. Have you ever thought whether nature has a heart? If yes, then here’s your answer. The heart shaped Betel leaf is beckoned as the ‘Golden heart of nature’. Dating back to 7000 BC, Betel is one among those oldest divine herbs bestowed on mankind. Besides numerous health benefits, these appealing leaves are a symbol of status and hospitality for greeting Kings, nobles and guests in the cultural heritage of India. Botanically called as Piper betle, Betel vine is a member of the pepper family Piperaceae. Tambool, Saptashira, Nagavallari and Nagini are Sanskrit names of Betel leaf and is commonly called as Paan in Hindi and the English names are Betel pepper, Betel vine and Betel. In Ayurveda, Tambool or Tambuli has been mentioned in numerous Ayurvedic texts including Charaka Samhita and Sushruta Samhita, where these glossy leaves have been prescribed for enhancing metabolic functions, reducing inflammation, expelling mucus, strengthening the heart muscles, improving appetite, purifying blood, treating ulcer, nosebleed, acne, bronchitis, halitosis, bleeding gums, headache and reproductive problems. Betel leaf has a rich historical charisma and is said to have been indigenous to South East Asian countries including Malaysia and India. Chewing Betel leaves with areca nut is a cultural tradition in most of the Asian countries for it’s said to give a euphoric feeling that stimulates the mind and grants instant energy for working. According to the study of numerous Anthropologists, the traces of Betel leaves were said have been found in spirit caves of Northwest Thailand, which dates back to 5500 to 7000 B.C. The oldest historical book of Sri Lanka, ‘Mahawamsa’ written in Pali talks about the leaves of the Betel vine. There are certain other findings in human skeletons dating back to 3000 BC in countries like Philippines and Indonesia, indicating the use of Betel leaves even before thousands of years. The traditional practice of chewing Betel leaves with areca nut has been mentioned in the pre-historic books of the Indian mythology and the most predominant among them are Raghuvamsa written by Kalidas and Kamsutra written by Vatsyayana. In one of the oldest text named Sakta-tantra, Betel leaves have been denoted as one of the important ways of attaining siddhi or abundant blessings from the Almighty. The primeval Ayurvedic texts also highlight the aphrodisiac properties of Betel leaf that aid in treating male and female reproductive problems. The Chinese Traditional medicine also used Betel leaves for its warm and spicy nature that aided in the treatment of cough, itching, inflammation, headache and respiratory infections. Betel leaves were used in various medical preparations of the Unani medicine and was used as a brain tonic, and in treating throat infections, cleansing the blood and for enhancing the appetite. Betel leaves were also used in the traditional healing system for treating various health disorders like conjunctivitis, leucorrhea, rheumatism, ringworm, constipation, infertility, bad breath, ottorrhoea, cough and asthma. Singers chewed these leaves to enhance their voice. 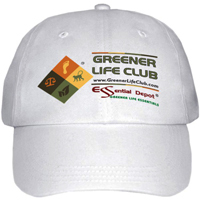 The primary ingredients of the essential oil of Betel leaf are cadinene, sesquiterpene, chavicol, geraniol, α-thujene, terpinolene, chavibetol, phenyl propane, trans β-ocimene, safrole, caryophyllene, cineole, cadinol, eugenol, camphene, limonene, pinene, and eugenyl acetate. These chemical constituents contribute to its remedial values like antifungal, antiseptic, antimicrobial, antioxidant, immunomodulatory, gastroprotective, radio-protective, anti-diabetic, hepatoprotective, galactogogue, anti-inflammatory, expectorant, carminative, analgesic and nervous stimulant. Veda means knowledge and Vedic studies were strongly suggested for people during the primordial times for gaining knowledge on various aspects including reading and writing skills, discipline, war skills and spiritual values. Ayurveda is much more than a traditional healing system and the word Ayurveda literally means knowledge of life. The 4 major Vedas of India is like the pillars of the Indian mythology with the world’s richest cultural heritage. They are Rig, Yajur, Sama and Atharva Veda, and among these Ayurveda has its origin from Atharva Veda. This ancient medicinal science is said to have been blessed by the God of Medicine, known as Acharya Dhanvantari. The main aim of Ayurvedic healing is longevity and healthy aging through a disciplined life and prevention of illnesses with the use of natural remedies like herbal remedies, plant essential oils, yoga, meditation, simple physical exercises, Ayurvedic routine, prayers and other established Ayurvedic techniques including Panchakarma or the Ayurvedic detoxification therapies, Abhyanga or the art of Ayurvedic massaging and many more. The most treasured Ayurvedic writings include Sushruta Samhita, Charaka Samhita and Ashtangha Hridaya Samhita. These texts throw light on the basic Ayurvedic concepts and its detailed healing mechanism. Charaka known as the father of medicine represents the Atreya School of physicians and shared his medical intelligence on pathogenesis, anatomy, physiology, etiology, disease symptoms, and diagnosis. Acharya Sushruta is called as the father of surgery and corresponds to the Dhanvantari School of surgeons. He explains about the classification of wounds, burns, fractures, amputation, rectal surgery, plastic surgery and about many types of surgical equipments. The credit of introducing Abhyanga or Ayurvedic massaging based on the marma points in the body also goes to Sushruta. The third Ayurvedic text Ashtangha Hridaya contains the medicinal values of both Charaka Samhita and Sushruta Samhita. According to the Ayurvedic philosophy, the major principles of Ayurveda include the 5 vital elements of nature known as Panchamahabutas, 3 dynamic energies known as tridosha, discarding of waste called as malas and the important organs of the body, known as dhatus. This conventional therapy believes that the earth is made up of five fundamental elements known as space, earth, fire, water, and air. Similarly, the whole thing in this world is also made up of the same five elements also called as the building blocks of nature. By nature, every person has a unique individual constitution, named as Prakriti and it comprises of three biological forces known as doshas. They are vata (air and space), pitta (fire and water) and kapha (earth and water). Among these, vata dosha is accountable for the activities of the nervous system including the central and autonomic functions. Pitta dosha is responsible for metabolic functions, tissue building, endocrinal functions and the body temperature. Kapha energy is in charge of physical fitness, binding power, sustenance and reproductive functions. Absolute balance between these doshas as per nature’s law signifies health and disparity caused by irregular food habits, detrimental practices, climatic conditions and certain other factors leads to sickness. Ayurvedic remedies are prescribed in order to balance these doshic vitiations. 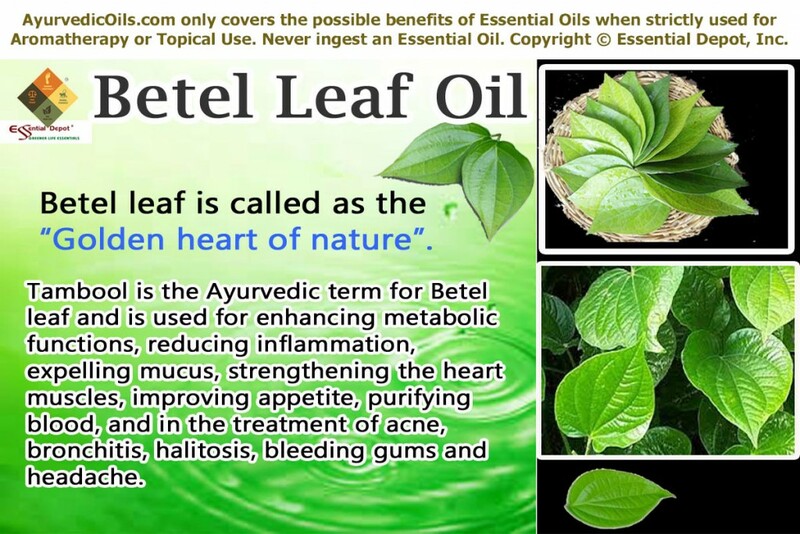 Betel leaf essential oil is known for its remedial properties that pacify kapha and vata dosha and increase pitta body type. Betel leaves are an excellent Ayurvedic aid for refreshing the breath instantly even after heavy meals or especially after having food items that may possess strong odor like garlic or onion. Chewing betel leaves is a customary practice in India since the traditional times mainly for its potent to prevent bad breath, enhance digestion, support healthy gums, assist strong teeth and combat germs and other micro-organisms that cause oral infections. According to numerous research studies, Betel leaves and its essential oil are the best remedies for treating plaque, dental decay, dental caries and other oral infections caused by bacteria and other harmful micro-organisms. The primary bacteria responsible for tooth decay is Streptococcus mutans and certain other researchers have concluded that the aqueous extracts present in Betel leaves have the oral protective action and potent to combat such bacterial growths along with various acid-producing oral pathogens. Gargling every morning and night with one cup of warm water mixed with 1 drop of Betel leaf oil can act as a protective shield against tooth decay, plaque, halitosis or unpleasant odor in the mouth, harmful effects of bacteria, germs and other oral pathogens. This also helps in sweetening your breath, arresting oral bleeding, strengthening your gums and fortifying your teeth. The essential oil extracted from betel leaves prevent the system from the dangerous effects of pathogens and micro-organisms and kills the existing microbes and treats the infections caused by such harmful bodies. Certain studies also state that Betel leaves and its extracts also possess bactericidal activity on various urinary tract pathogenic bacteria including Enterocococcus faecalis, koseri, C.fruendi, Klebsiella pnemoniae. The molecule sterol present in these leaves is said to be responsible for the anti-bacterial activity of Betel leaf oil. This contributes to its effectiveness against numerous gram-positive and gram-negative bacteria. It also contains anti-fungal activity and proves challenging to fungi and the resulting fungal infections. This property of Betel leaf oil helps in treating related skin problems like acne, wounds becoming septic, ringworms, athletes’ foot and certain other infectious diseases like dermatophytosis, which is caused by highly specialized fungi known as the dermatophytes and this disease occurs mainly on the keratinized parts of the body like nail, skin and hair. A study on the “Evaluation of Anti-dermatophytic activity of Piper betle, Allamanda cathertica and their combination: An in vitro and in vivo stud” published in the International Journal of Pharm Tech., states that the chloroform extract of piper betel shows the much more efficiency than the methanol fraction against dermatophytes because of presence of non-polar components in the fraction. Gently applying 2 drops of Betel leaf oil blended with 1 drop of Peppermint oil and 1 drop of turmeric oil along with 2 ml of coconut oil on the affected parts can help in relieving wounds and infections quickly along by combating and preventing the growth of destructive microbes. You can also 2 drops of Betel leaf oil to your bathing water to protect you from germs, prevent body odor and grant ultimate refreshment all through the day. Chewing of betel leaf is considered as an edible digestive aid since the traditional times for its carminative, intestinal, anti-flatulent and gastro-protective properties. The essential oil extracted from these aromatic leaves are also claimed to possess these therapeutic properties, as essential oils are nothing but the life essence or vital life force of the plants. Massaging your abdomen with 2 drops of Betel leaf oil mixed with 2 drops of Peppermint oil and 2 ml of sesame oil can be an excellent digestive assistance. This helps in promoting the secretion of saliva, gastric juices and digestive acids and it also supports in producing the peristaltic waves, which is highly significant for hassle-free digestion. This Ayurvedic massaging along with inhaling the warm aroma of Betel leaf oil by adding 1 drop of this oil to your hankie or a tissue paper can aid in treating constipation, diarrhea, gas pain, flatulence, intestinal spasms and sluggish digestion. Certain researches have also established that the essential oil of Betel leaf has been highly effective against hookworms (Bunostomum trigonocephalum) and tapeworms (Taenia solium) than the accepted synthetic anthelmintics like hexyl resorcinol and piperazine phosphate. The best Ayurvedic remedy for relieving cold, cough and breathing difficulties is applying warmed Betel leaves on the chest after soaking it in mustard oil. Juice extracted from crushed Betel leaves mixed with honey is another traditional remedy for loosening tough phlegm deposits and relieving severe cough. 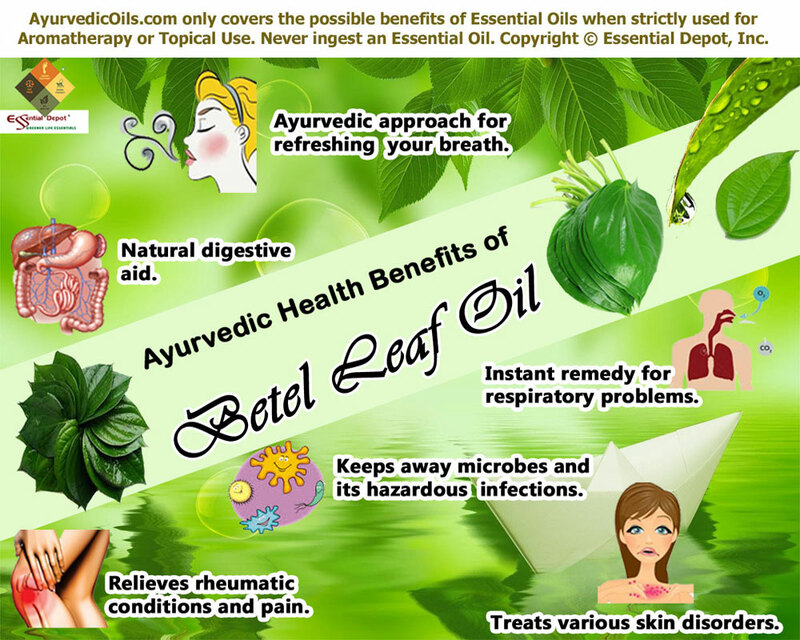 Betel leaf oil has expectorant properties that aids in expelling accumulated mucus and phlegm especially in the lungs and the respiratory passages. Along with this, the antimicrobial properties of this help in killing contagious microbes in the system like bacteria and viruses that aggravate respiratory infections, if left uncontrolled. Adding 2 drops of Betel leaf oil in steam inhalation and inhaling this medicated steam can help in treating nasal congestion, chest congestion and other cough. Mix 2 drops of Betel leaf oil with 2 drops of Eucalyptus oil and 2 ml of mustard oil and warm it slightly. Gently massage your throat, chest and back with this medicated oil to eject excess water deposits in the body leading to the amassing of phlegm and mucus deposits. The micro-organisms in the body are eliminated through excessive sweating and urination after taking up these Ayurvedic remedies with Betel leaf oil. One amongst the three Ayurvedic schools (Sushruta Samhita, Charaka Samhita and Ashtangha Hridaya Samhita) has recommended the use of betel leaves in the treatment of severe pain and aches, mainly originating from the nervous system. This pain-relieving attribute of Betel leaf is due its analgesic, numbing and cooling properties. Rheumatism is often regarded as a health disorder caused mainly due to kapha vitiations. Excess of kapha dosha due to changes in food habits, climatic conditions and other lifestyle changes leads to stagnation of water in the system, built up of toxins, inflammation, pain, irritation and certain other symptoms. Betel leaf essential oil with its warming properties increases the heat energy in the system and reduces excess of kapha dosha. Massaging the affected parts with 3 drops of Betel leaf oil mixed with 1.5 ml of coconut oil can help in alleviating the surplus water deposits in the system by promoting frequent urination with its diuretic properties. You can also add 4 to 5 drops of this oil in hot or cold compress and use it gently on the painful parts. This can also help in relieving headache, lumbago or lower back pain, arthritis pain, swelling, redness and muscular tension. Betel leaf juice mixed with turmeric powder is a trusted folklore medicine for treating wounds, boils, acne, cuts and other minor injuries. With its powerful antiseptic and antimicrobial properties, Betel leaf and its essential oil have been proven effective in treating allergies, skin ulceration, nosebleeds, body odor, itchiness, vaginal wetness, acne and other skin infections. Mix 2 drops of Betel leaf oil with 2 drops of Lavender oil and 2 ml of Jojoba oil and apply it on the infected parts and leave it for half an hour. Wash it thoroughly with a mild skin cleanser. 1 drop of Betel leaf oil added to a cup of warm water can be used as a safe genital wash for treating vaginal wetness, combating germs and other micro-organisms in the discharge, and for supporting genital shrinkage in women, especially after delivery. Betel leaf essential oil is also an effective Ayurvedic remedy for treating reproductive problems with its aphrodisiac properties, diabetes with its anti-diabetic properties, urinary problems with its diuretic properties, constipation in children with its carminative properties, halitosis and other oral problems with its disinfectant and anti-microbial properties. This article is meant only for the use of education and information. It is not intended to cure or prevent any medical condition or replace any prescription medicines. This is only an initiative to spread the time-honored wisdom and medical excellence of Ayurveda and we are not healthcare professionals. Remember to consult your Ayurvedic professional/healthcare practitioner before selecting the appropriate essential oils for your state of health and prakriti or unique individual constitution. Avoid ingesting or using essential oils internally. 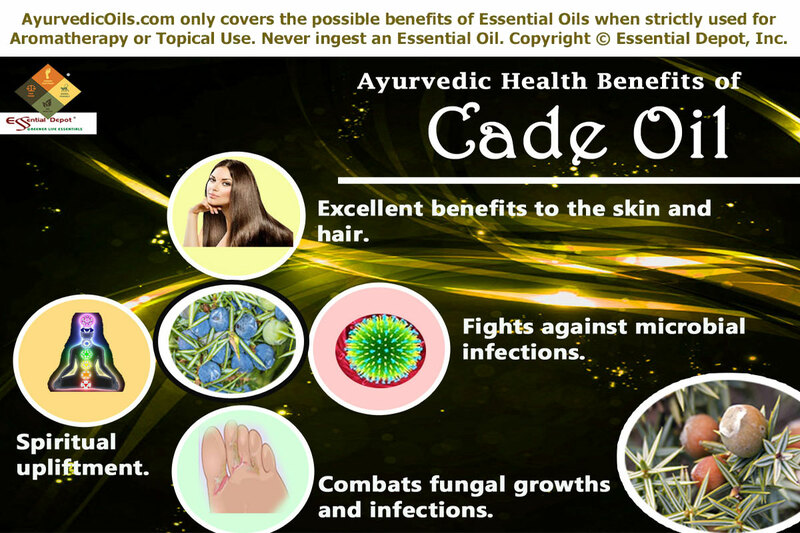 Make sure that you dilute Ayurvedic essential oils in suitable carrier oils before topical application. This is because pure and organic essential oils are the vital life force of plants and are highly concentrated liquids.